Professor Chung has received formal training and has extensive experience in the field of sexual, reproductive and urinary surgery. He trained under Dr Ross Cartmill, the largest volume prosthetic implant surgeon in Australasia in 2009 as the Prosthesis and Reconstructive fellow. 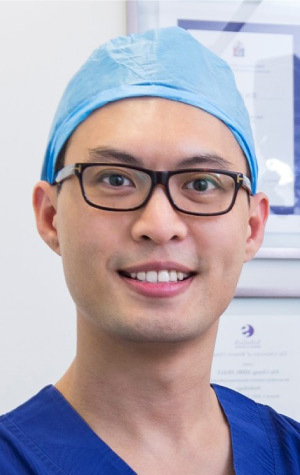 In 2010, Professor Chung became the first urologist in Australia to complete a formal Andrology fellowship accredited by the Sexual Medicine Society of North America, with Professor Gerald Brock, one of the world’s leading authority in male sexual medicine. Additionally, Professor Chung has presented at various international and national meetings and published widely in the field of sexual, reproductive and urinary surgery. Before surgery, your doctor will give you a complete physical examination to make sure you don't have any conditions that could interfere with the surgery or its outcome. Routine tests, such as blood tests and X-rays, are usually performed a week before the surgery. Discuss any medications you are taking with your urologist and your family physician to see which ones you should stop taking before surgery. If you smoke, you should stop or cut down to reduce your surgery risks and improve your recovery. Eat a well-balanced diet, supplemented by a daily multivitamin with iron. DO NOT drink or eat at least 6 hours before your surgery. Most patients generally fast from midnight the day before their surgery. Do NOT eat anything in the car on the trip home. The combination of anaesthesia, food, and car motion can quite often cause nausea or vomiting. After arriving home, wait until you are hungry before trying to eat. Begin with a light meal and try to avoid greasy food for the first 24 hours.